Has junk taken over your garage space? Not to worry; it happens to the best of us. But you don’t have to be overwhelmed by a garage full of unused items. 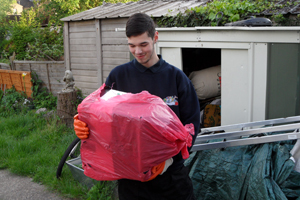 Simply call Junk Collection and we’ll send out one of our professional teams to clear the junk and sweep up afterwards, so you can have your garage space back. You won’t need to do a thing; our crew will bring the needed equipment and do all of the work, whether you need us to remove one or two items or clear an entire garage . We will gladly schedule your garage clearance at a time that works best for you. So call Junk Collection today and you could be enjoying a clean, organized, and tidy garage tomorrow.